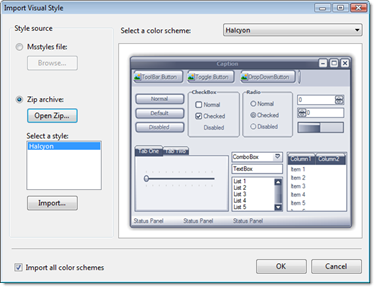 VisualStyler allows you to import any Microsoft Visual Style at design-time, visual styles can be imported directly from an msstyles file or from a Zip archive. The 'Import Visual Style' task can be found on the VisualStyler designer and at the bottom of the VisualStyler properties window. Open the main form of your application and click on the VisualStyler component and select the designer tasks by clicking on the small arrow on the top right hand corner. This will reveal the designer panel as shown below, now click on the 'Import Visual Styles' link. This will display the import style dialog. 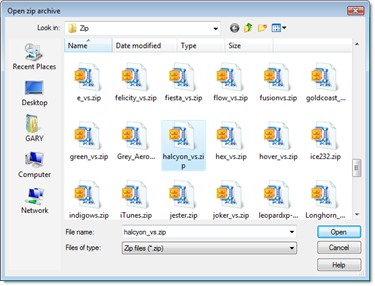 Select the 'Zip Archive' option and click Open Zip to choose a Zip file, the Zip file is assumed to contain one or more msstyles files. Select the Zip file using the file open dialog, click Ok or Cancel. 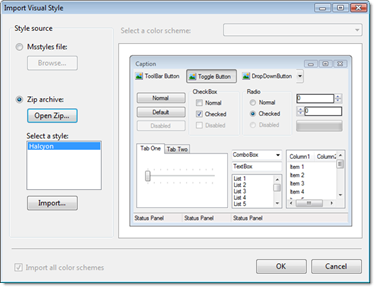 After selecting a Zip file the dialog will display a list of all msstyles in the Zip archive. You can then select which style to import from using the style listbox. 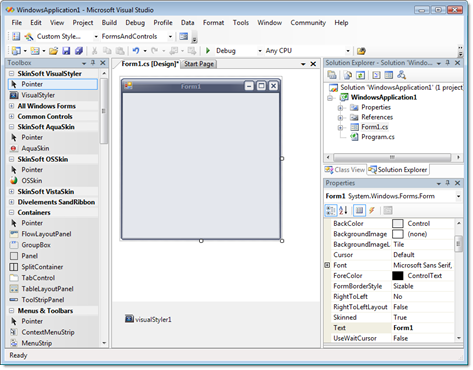 Click Import, and the visual style will be extracted from the zip and displayed. You will now see a preview of the visual style with the default color scheme. 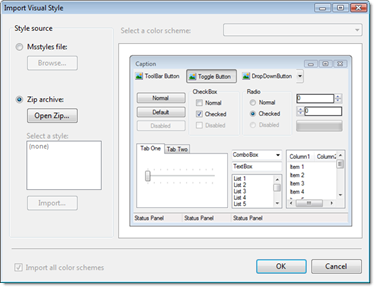 You can preview all of the available color schemes using the color scheme drop-down box. Click OK to accept the current selection or Cancel to quit. 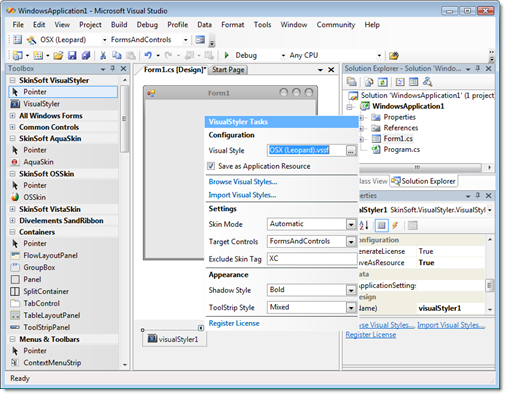 The style will now be converted to a VisualStyler file (.vssf) and saved in the skin gallery under 'Custom Skins'. If you are using the VisualStyler add-in, the skin will automatically be applied to any open forms.